Addoraca, with its roots in Italy, is one of the white wine grape varieties used as a blending component in the famous dessert wine, “Passito”. Addoraca is combined with Coda di Volpe Bianca, Malvasia Bianca di Candia, and Malvasia bianca Di Candia in the dessert wine known as Moscato di Saracena, which is a specialty of Saracena village. Chardonnay is a member of the green-skinned grape family, with its origin in the East of France. Over time, this grape gained in popularity, and is now grown in almost every winemaking country. While Chardonnay is very neutral in nature, it is notably acidic with flavours of green plum, apple, and pear. Many flavours associated with the grape are influenced by environmental conditions and the use of oak. Being very versatile and an effortless growing wine grape, Chardonnay is the easiest way to succeed for new winemakers in the market. Chardonnay is a medium to light bodied wine with an average level of acidity. This green-skinned grape changes its flavour and aroma according to its growing region. Areas with an adequate warm climate like parts of Australia and New Zealand grow more citrus flavoured Chardonnay grapes than the ones grown in areas of California. In these regions, Chardonnay adapts to flavours like mango and banana. Being one of the ruling grapes worldwide, Chardonnay is a vital component in almost every premium sparkling wine, including Champagne. This high acidic white wine grape is very popular amongst wine lovers and was originally grown in the Loire Valley, France. Also known as “Pineau de la Loire”, this white skin grape can be used in making a variety of wine including sparkling wines, off-dry wines, and dessert wines. Chenin Blanc is the favourite wine grape of South Africa, where people also call it “Steen”. Chenin Blanc is a very balanced, neutral, variety of grape, with flavours of honeydew, ripe apple, pear, and lemon. In colder regions, the juice is sweet but more acidic, whereas in warmer areas like Swan Valley, this grape produces higher sugar content and a lower acidity level. Dimyat is a blanc skinned Bulgarian grape, with mesmerising perfume aromas. Legends believe it to be originally a part of Nile Delta and later brought to Europe in the middle ages. Exclusively grown in Bulgaria, Dimyat is widely spread around the region of Shumen and Chirpan. Wines produced with Dimyat grapes are usually aromatic, sweet, and light bodied. One of the most aromatic grape varieties, Gewürztraminer is also referred to as Gewurz, meaning an herb or spice. This white wine grape is a pink-skinned fruit with a high sugar level, originally grown in the Alsace region of France. Gewürztraminer consists of intense lychee flavours, and with age, produces floral notes and aromas of passion fruit and roses. It is usually off dry in nature. Gewurz white wine goes well with Asian Cuisine. With flavours of white peaches, pears and marzipan, Marsanne white wine grape is the most important in the region of northern Rhone. Other than France, this blanc skinned berry is also grown in parts of Switzerland and California. Marsanne is often the chief ingredient in some of the premium wines like Saint-Joseph AOCs and Hermitage. This is one of the wines that were blended with red wines, to increase the intensity. Marsanne is grown to produce both dry, steely wines, and sweet textured wines. Pinot Blanc is a blanc skinned grape, originating from the genetic mutation of the wine grape known as Pinot noir. The wine produced from the Pinot Blanc grape is very like that of Chardonnay, but it is lighter and more elegant in nature. Areas of Germany, Italy, Czech, and Hungary produce full-bodied Pinot Blanc wine. It is believed that when Pinot Blanc is left in a stainless-steel container, its taste is the best. Pinot Gris, also known as Grauburgender, is a variety of white wine grape. It is a rose skinned grape with intense flavours of fresh pear, citrus, and melon. If you love combining your food with wine, Pinot Gris is a great choice for you. Pinot Gris or Pinot Grigio produces peppy and light wines that enhance the taste of your dinner. However, the wine produced by Pinot Gris in California is medium bodied, and the ones made in Washington are more tart and intense. Sauvignon Blanc is said to have originated in the region of Bordeaux, France. It is a green-skinned grape variety with flavours of herb, grass, peach, citrus, and pineapple. This grape produces fresh, dry, and brittle varietal wine around the world. It is also useful in the production of dessert wines. 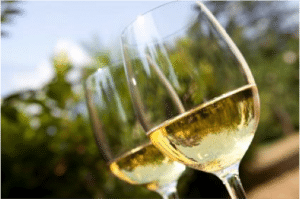 Sauvignon Blanc is one of the most popular wine grapes grown in nearly all wine plantation regions, including France, Australia, New Zealand, California, Canada, and Washington. For a relaxing and indulgent day of premium wine tasting, sumptuous food & stunning scenery, check out our best wine tours in Swan Valley Perth. Take in the delights of the Swan Valley on our fun-filled tour bus today! Posted in Wine Guide and tagged white wine guide on 4th July 2017.